Earlier this month, PreventConnect Campus explored sexual and domestic violence prevention on community college campuses during the web conference, “Community Colleges: Opportunities for Sexual and Domestic Violence Prevention”. Guests from three community colleges shared their insight into the distinct challenges and opportunities present on community college campuses as well as lessons learned and ex amples of prevention efforts they are engaged with on campus. It was clear from the discussion between guests and participants that we must be intentional in including non-traditional schools in our conversations around preventing campus sexual and domestic violence. A question that often comes up when thinking about prevention strategies on community college campuses is how do you engage a student body that is always changing? The answer may be to not focus on what is always changing, but to instead target the things that stay constant such as existing networks, policies, protocols, practices and programs. Saturating the campus with prevention messages through consistent systems can create a campus culture that does not support sexual and domestic violence as a norm. To read more about unique challenges and opportunities for sexual and domestic violence prevention on community college campuses, take a look at this report from the Association for Student Conduct Administration. 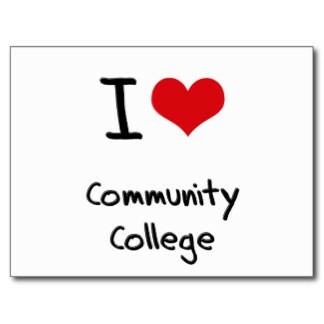 What ideas do you have for engaging community college campuses in sexual and domestic violence prevention?